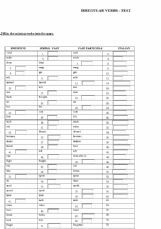 This online activity is a small collection of exercises for students who are preparing for the PET Cambridge Exam. 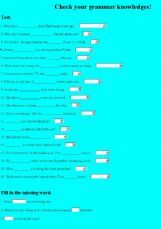 exercises on tenses, prepositions, adverbs. This exercise raises pupils� awareness about the differences between the Present Simple and Present Continuous tense. 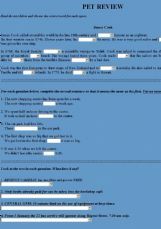 This material is a test to check Present Continuous/Present Simple/Past Simple. 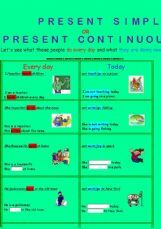 Present Simple versus Present Continuous. Ss will understand the distinction between the two tenses and remember the usage of non-progressive verbs doing this execise. 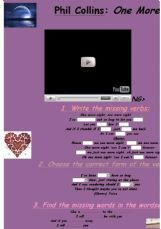 Hope you�ll enjoy it. As ss are supposed to sit their exam in some months� time. It is the last call for practicing and revising. 3 exercises for students to practice before their exams. 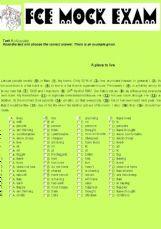 It�s an opportunity for your students to practise linking words linking words the right way through a rephrasing exercise + a gap-filling one! Hope you like it and make use of it :) keep sharing! Peace, love & unity from my beloved homeland: Morocco!